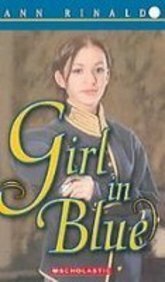 9780689859243 | 1 edition (Simon & Schuster, January 1, 2004), cover price $15.95 | About this edition: In 1861, eighteen-year-old Sarah Tracy, from New York state, comes to work at Mount Vernon, the historic Virginia home of George Washington, where she tries to protect the safety and neutrality of the site during the Civil War, and where she encounters her future husband, Upton Herbert. 9781442481077 | Reprint edition (Simon & Schuster, November 28, 2012), cover price $9.99 | About this edition: All my life I have done what myfamily wanted. 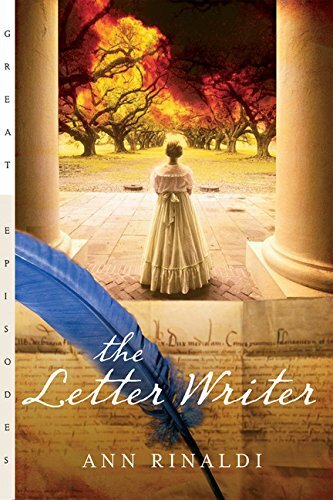 9780689859250 | Reprint edition (Simon & Schuster, July 26, 2005), cover price $5.99 | About this edition: Eighteen-year-old Sarah Tracy comes to work at Mount Vernon, the historic Virginia home of George Washington, where she tries to protect the neutrality of the site during the Civil War, and where she encounters her future husband. 9780606339162 | Demco Media, May 1, 2005, cover price $14.53 | About this edition: All my life I have done what my family wanted. 9781439563830 | Reprint edition (Paw Prints, October 15, 2008), cover price $14.99 | About this edition: All my life I have done what my family wanted. Cornelia Greene is fed up with gossip about her mother. 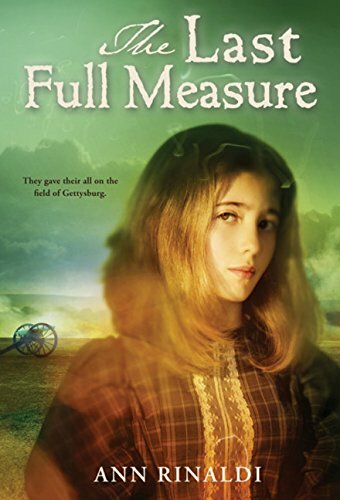 Caty Littlefield Greene was once a beautiful young bride who lifted the troopsâ spirits at Valley Forge, but Cornelia knows that rumors of Catyâs past indiscretions hurt Nathanael Greene, Corneliaâs adored father. Yet Caty claims that sheâs just a flirt, and that flirting is a female necessityâa womanâs only means of power.Corneliaâs concern with her motherâs reputation abruptly fades to the background when she learns that Nathanael Greene may not be her father. As she searches for the truth, she makes unexpected discoveries that lead her to a new understanding of love and family. 9780547260679 | 1 edition (Harcourt Childrens Books, May 24, 2010), cover price $17.00 | About this edition: Cornelia Greene is fed up with gossip about her mother. 9780547389806 | 1 edition (Harcourt Childrens Books, November 15, 2010), cover price $17.00 | About this edition: As Confederate and Union soldiers take over their town, the local residents can do little more than hunker down in their homes while cannon and gunfire explode around them. 9780786255573 | Large print edition (Thorndike Pr, July 1, 2003), cover price $24.95 | About this edition: After serving Martha Washington loyally for twenty years, Oney Judge realizes that she is just a slave and must decide if she will run away to find true freedom. 9780689851872 | Simon & Schuster, November 1, 2002, cover price $16.95 | About this edition: After serving Martha Washington loyally for twenty years, Oney Judge realizes that she is just a slave and must decide if she will run away to find true freedom. 9780606297516 | Demco Media, March 1, 2004, cover price $14.55 | About this edition: After serving Martha Washington loyally for twenty years, Oney Judge realizes that she is just a slave and must decide if she will run away to find true freedom. War is turning Juliet Bradshaw's world upside down. 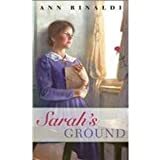 Her brother, Seth, rides with William Quantrill's renegade Confederate army, but he's helpless when the Yankees arrest Juliet along with the wives and sisters of Quantrill's soldiers as spies. Imprisoned in a dilapidated old house in Kansas City, Juliet is one of a handful of survivors after the building collapses, killing most of the young girls inside.Â When she's reunited with her brother,Â Juliet finds the life she had previously known is gone. Surrounded by secrets, lies, murder, and chaos,Â she must determine just how far she will go to protect the people and things she holds dear. 9780152061708 | Houghton Mifflin, May 1, 2008, cover price $17.00 | About this edition: War is turning Juliet Bradshaw's world upside down. 9780547258744 | Reprint edition (Houghton Mifflin, January 18, 2010), cover price $7.99 | About this edition: War is turning Juliet Bradshaw's world upside down. 9780152065133 | 1 edition (Harcourt Childrens Books, September 28, 2009), cover price $17.00 | About this edition: Leigh Ann Conners is spunky and determined. 9780547549996 | Reprint edition (Houghton Mifflin, August 29, 2011), cover price $7.99 | About this edition: Leigh Ann Conners is spunky and determined. Fourteen-year-old Luli and her family face tragedy after failing to tell their slaves that President Lincoln's Emancipation Proclamation made them free. 9780152059477 | Houghton Mifflin, May 1, 2007, cover price $17.00 | About this edition: Fourteen-year-old Luli and her family face tragedy after failing to tell their slaves that President Lincoln's Emancipation Proclamation made them free. 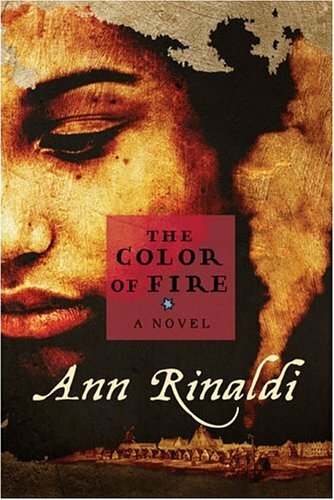 9780152063924 | Reprint edition (Houghton Mifflin, May 4, 2009), cover price $7.99 | About this edition: Sis Goose is a beloved member of Luli's family, despite the fact that she was born a slave. 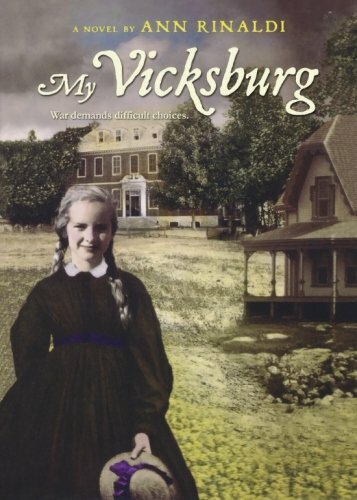 9780547550008 | Reprint edition (Houghton Mifflin, August 29, 2011), cover price $11.95 | About this edition: Claire Louise Corbett and her Confederate family flee their home as Union soldiers shell their town of Vicksburg, Mississippi. 9781598595482 | Unabridged edition (Oasis Audio, April 14, 2009), cover price $19.99 | About this edition: Claire Louise Corbet has never had trouble making up her mind. 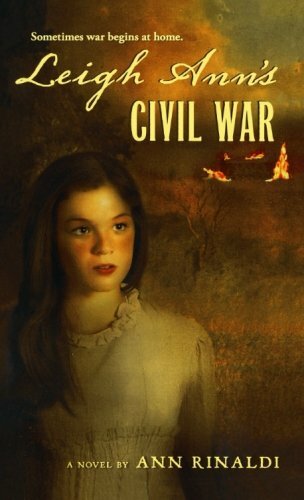 9781439521090 | Reprint edition (Paw Prints, April 9, 2009), cover price $15.50 | About this edition: Sixteen-year-old Jem struggles to maintain the status quo at home in Trenton, New Jersey, when the family men join the war for independence. 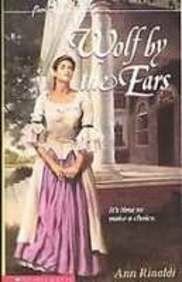 9781439565292 | Reprint edition (Paw Prints, October 20, 2008), cover price $15.50 | About this edition: Sixteen-year-old Jem struggles to maintain the status quo at home in Trenton, New Jersey, when the family men join the war for independence. 9780152064020 | 1 edition (Harcourt Childrens Books, November 1, 2008), cover price $17.00 | About this edition: Eleven-year-old Harriet Whitehead is an outsider in her own family. 9780152055974 | 1 edition (Harcourt Childrens Books, January 1, 2007), cover price $17.00 | About this edition: Relates the lives of Mary Todd Lincoln, raised in a wealthy Virginia family, and Lizzy Keckley, a dressmaker born a slave, as they grow up separately then become best friends when Mary's childhood dream of living in the White House comes true. 9780152063986 | Reprint edition (Houghton Mifflin, November 1, 2008), cover price $7.99 | About this edition: On theÂ night of President Abraham Lincolnâs assassination, his frantic wife, Mary, calls for her best friend and confidante, Elizabeth Keckley. 9781439583111 | Reprint edition (Paw Prints, April 9, 2009), cover price $15.95 | About this edition: On theÂ night of President Abraham Lincoln's assassination, his frantic wife, Mary, calls for her best friend and confidante, Elizabeth Keckley, but the woman is mistakenly kept from her side by guards who were unaware of Mary Todd Lincoln's close friendship withÂ the black seamstress. 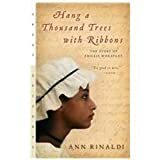 9781406312485 | Gardners Books, October 6, 2008, cover price $10.45 | About this edition: Kidnapped from her home in Senegal and sold as a slave in 1761, a young girl is purchased by the wealthy Wheatley family in Boston. 9780152053932 | Reissue edition (Houghton Mifflin, March 1, 2005), cover price $8.99 | About this edition: A fictionalized biography of the eighteenth-century African woman who, as a child, was brought to New England to be a slave, and after publishing her first poem when a teenager, gained renown throughout the colonies as an important black American poet. 9780152008772 | Houghton Mifflin, October 1, 1996, cover price $6.00 | About this edition: A fictionalized biography of the eighteenth-century African woman who, as a child, was brought to New England to be a slave, and after publishing her first poem when a teenager, gained renown throughout the colonies as an important black American poet. 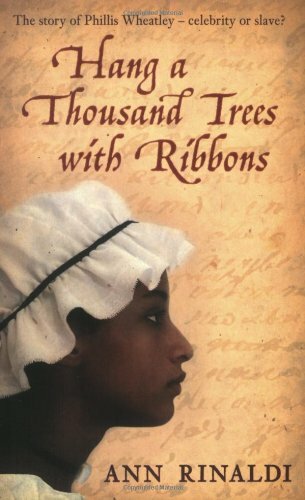 9780152008765 | Houghton Mifflin, October 1, 1996, cover price $14.00 | About this edition: A fictionalized biography of the eighteenth-century African woman who, as a child, was brought to New England to be a slave, and after publishing her first poem when a teenager, gained renown throughout the colonies as an important black American poet. 9780606334167 | Demco Media, February 1, 2005, cover price $15.60 | About this edition: A fictionalized biography of the eighteenth-century African woman who, as a child, was brought to New England to be a slave, and after publishing her first poem when a teenager, gained renown throughout the colonies as an important black American poet. 9780606108348 | Demco Media, October 1, 1996, cover price $14.55 | About this edition: A fictionalized biography of the eighteenth-century African woman who, as a child, was brought to New England to be a slave, and after publishing her first poem when a teenager, gained renown throughout the colonies as an important black American poet. 9781435244221 | Reprint edition (Paw Prints, April 18, 2008), cover price $15.95 | About this edition: Kidnapped from her home in Senegal and sold as a slave in 1761, a young girl is purchased by the wealthy Wheatley family in Boston. 9781417644438 | Turtleback Books, March 1, 2005, cover price $17.15 | About this edition: A fictionalized biography of the eighteenth-century African woman who, as a child, was brought to New England to be a slave, and after publishing her first poem when a teenager, gained renown throughout the colonies as an important black American poet. 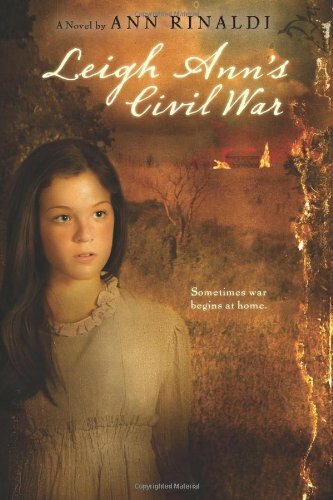 For two sisters growing up surrounded by the Civil War, there is conflict both outside and inside their house. 9780590447317, titled "In My Father's House" | Reprint edition (Point, August 1, 1996), cover price $5.99 | About this edition: For two sisters growing up surrounded by the Civil War, there is conflict both outside and inside their house. 9780590447300, titled "In My Father's House" | Scholastic, April 1, 1993, cover price $14.95 | About this edition: For two sisters growing up surrounded by the Civil War, there is conflict both outside and inside their house. 9780606070126, titled "In My Father's House" | Demco Media, November 1, 1994, cover price $14.55 | About this edition: For two sisters growing up surrounded by the Civil War, there is conflict both outside and inside their house. 9780785754756, titled "In My Father's House" | Turtleback Books, October 1, 1999, cover price $16.00 | About this edition: For two sisters growing up surrounded by the Civil War, there is conflict both outside and inside their house. Product Description: FOR USE IN SCHOOLS AND LIBRARIES ONLY. 9780060549237 | Harpercollins Childrens Books, February 1, 2005, cover price $15.99 | About this edition: Lady Jane Grey, who at sixteen was Queen of England for nine days before being executed, recounts her life story from the age of nine. 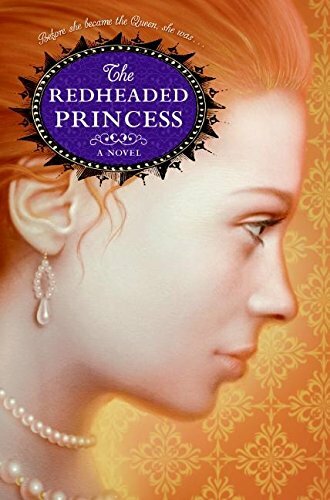 9780060549251 | Reprint edition (Harpercollins Childrens Books, February 1, 2006), cover price $8.99 | About this edition: Lady Jane Grey, who at sixteen was Queen of England for nine days before being executed, recounts her life story from the age of nine. 9780060549244 | Harpercollins, February 1, 2005, cover price $16.89 | About this edition: Lady Jane Grey, who at sixteen was Queen of England for nine days before being executed, recounts her life story from the age of nine. 9781439547786 | Reprint edition (Paw Prints, August 11, 2008), cover price $14.99 | About this edition: FOR USE IN SCHOOLS AND LIBRARIES ONLY. 9780439073363 | Scholastic, April 1, 2001, cover price $16.95 | About this edition: To escape an abusive father and an arranged marriage, fourteen-year-old Sarah, dressed as a boy, leaves her Michigan home to enlist in the Union Army, and becomes a soldier on the battlefields of Virginia as well as a Union spy working in the house of Confederate sympathizer Rose O'Neal Greenhow in Washington, D.
9780439676465 | Reprint edition (Scholastic Paperbacks, December 1, 2004), cover price $7.99 | About this edition: To escape an abusive father and an arranged marriage, fourteen-year-old Sarah poses as a boy to enlist in the Union Army, and becomes a soldier and spy working with Confederate sympathizer Rose O'Neal Greenhow. 9780606330459 | Demco Media, December 27, 2004, cover price $14.53 | About this edition: To escape an abusive father and an arranged marriage, fourteen-year-old Sarah poses as a boy to enlist in the Union Army, and becomes a soldier and spy working with Confederate sympathizer Rose O'Neal Greenhow. 9781439511367 | Reprint edition (Paw Prints, April 9, 2009), cover price $15.99 | About this edition: As an adolescent, Sarah Louisa Wheelock vowed never to let a man control her. 9781417644377 | Turtleback Books, January 1, 2005, cover price $17.20 | About this edition: To escape an abusive father and an arranged marriage, fourteen-year-old Sarah poses as a boy to enlist in the Union Army, and becomes a soldier and spy working with Confederate sympathizer Rose O'Neal Greenhow. Product Description: Harriet Hemings, rumored to be the daughter of Thomas Jefferson and Sally Hemings, one of his black slaves, struggles with the problems facing her--to escape from the velvet cage that is Monticello, or to stay, and thus remain a slave. 9780590434133 | Scholastic, April 1, 1991, cover price $13.95 | About this edition: Harriet Hemings, rumored to be the daughter of Thomas Jefferson and Sally Hemings, one of his black slaves, struggles with the problems facing her--to escape from the velvet cage that is Monticello, or to stay, and thus remain a slave. 9781439507698 | Reprint edition (Paw Prints, April 9, 2009), cover price $15.99 | About this edition: Harriet Hemings, rumored to be the daughter of Thomas Jefferson and Sally Hemings, one of his black slaves, struggles with the problems facing her--to escape from the velvet cage that is Monticello, or to stay, and thus remain a slave. 9780060296384 | 1 edition (Harpercollins Childrens Books, February 1, 2004), cover price $15.99 | About this edition: Gives voice, as a teenager returned to the Christian family in England, to the half-Tahitian daughter of the British ship Bounty's second-in-command and mutineer, Fletcher Christian. 9780064410106 | Reprint edition (Trophy Pr, June 1, 2005), cover price $6.99 | About this edition: Mary, the half-Tahitian daughter of the British ship Bounty's second-in-command and mutineer, Fletcher Christian, returns to the Christian family in England. 9780060296391 | 1 edition (Harpercollins, February 1, 2004), cover price $16.89 | About this edition: Gives voice, as a teenager returned to the Christian family in England, to the half-Tahitian daughter of the British ship Bounty's second-in-command and mutineer, Fletcher Christian. 9781435273795 | Reprint edition (Paw Prints, May 9, 2008), cover price $15.99 | About this edition: What if? 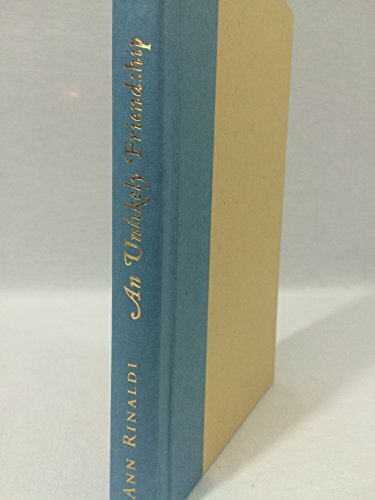 9780786805334 | 1 edition (Hyperion, April 1, 2002), cover price $15.99 | About this edition: While most slaves are being freed now that the Civil War has ended, Eulinda's younger brother has been sold after being falsely accused of stealing and her older brother has run away, leaving thirteen-year-old Eulinda alone in a household headed by a cruel mistress. 9780786813780 | Reprint edition (Jump at the Sun, August 30, 2005), cover price $5.99 | About this edition: Although the Civil War has ended, Eulinda's younger brother, still in slavery, has been sold, and her older brother has run away, leaving her alone in a household headed by a cruel mistress. 9780606334471 | Demco Media, August 30, 2005, cover price $14.53 | About this edition: FOR USE IN SCHOOLS AND LIBRARIES ONLY. 9781435273153 | Reprint edition (Paw Prints, May 9, 2008), cover price $14.99 | About this edition: FOR USE IN SCHOOLS AND LIBRARIES ONLY. 9781417741953 | Turtleback Books, August 1, 2005, cover price $16.00 | About this edition: Although the Civil War has ended, Eulinda's younger brother, still in slavery, has been sold, and her older brother has run away, leaving her alone in a household headed by a cruel mistress. Despite being the daughter of the king, Elizabeth is sent to live in exile by those in power in the court who fear the person the young princess may one day become, in a dramatic tale about power, politics, and complex schemes within the royal family. 9780060733742 | Harpercollins Childrens Books, February 1, 2008, cover price $15.99 | About this edition: In 1542, nine-year-old Lady Elizabeth lives on an estate near London, striving to get back into the good graces of her father, King Henry VIII, and as the years pass she faces his death and those of other close relatives until she finds herself next in line to ascend the throne of England in 1558. 9780060733759 | Harpercollins, February 1, 2008, cover price $16.89 | About this edition: In 1542, nine-year-old Lady Elizabeth lives on an estate near London, striving to get back into the good graces of her father, King Henry VIII, and as the years pass she faces his death and those of other close relatives until she finds herself next in line to ascend the throne of England in 1558. 9780547258546 | Reprint edition (Houghton Mifflin, January 18, 2010), cover price $7.99 | About this edition: Now that her father is dead, CeCe McGill is left to wonder why he risked his life for the ragged slaves who came to their door in the dead of night. 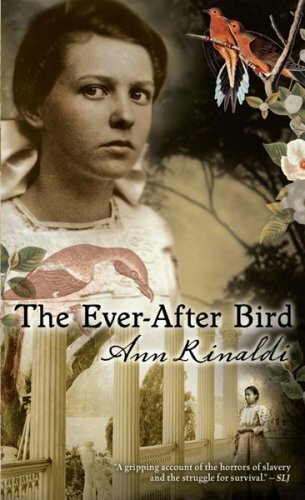 9780152026202 | 1 edition (Harcourt Childrens Books, November 1, 2007), cover price $17.00 | About this edition: In 1851, thirteen-year-old Cecilia has her eyes opened to the horrors of slavery when she accompanies her ornithologist uncle on an expedition in search of the rare 'Scarlet Ibis,' and watches as he shows slaves the way to the Underground Railroad. In 1741, while America is at war with Catholic Spain, Phoebe must save her friend Cuffee from execution when the whites in New York City accuse the black slaves of planning a revolt, which erupts into violence and the deaths of many innocent people. Reprint. 9780786818259 | Reprint edition (Jump at the Sun, September 15, 2006), cover price $5.99 | About this edition: In 1741, while America is at war with Catholic Spain, Phoebe must save her friend Cuffee from execution when the whites in New York City accuse the black slaves of planning a revolt, which erupts in violence and the death of many innocent people. 9780786809387 | Hyperion, April 30, 2005, cover price $15.99 | About this edition: In 1741, while America is at war with Catholic Spain, Phoebe must save her friend Cuffee from execution when the whites in New York City accuse the black slaves of planning a revolt, which erupts in violence and the death of many innocent people. 9780152051174 | Houghton Mifflin, January 1, 2005, cover price $17.00 | About this edition: On St.
9780152055387 | Reprint edition (Houghton Mifflin, May 1, 2006), cover price $15.95 | About this edition: On St.
9781439517451 | Reprint edition (Paw Prints, August 11, 2008), cover price $15.95 | About this edition: It's 1900--the dawn of a new century--and never in her wildest dreams did fifteen-year-old Rose Frampton ever think she'd leave her family and home on the peaceful shores of her island plantation in South Carolina . With their father away most of the time advocating independence for the American colonies, the children of Patrick Henry try to raise themselves, manage the family plantation, and care for their mentally ill mother. 9780152050764 | Reprint edition (Houghton Mifflin, August 1, 2004), cover price $6.99 | About this edition: With their father away most of the time advocating independence for the American colonies, the children of Patrick Henry try to raise themselves, manage the family plantation, and care for their mentally ill mother. 9780152166878 | Harcourt Childrens Books, July 4, 2003, cover price $17.00 | About this edition: With their father away most of the time advocating independence for the American colonies, the children of Patrick Henry try to raise themselves, manage the family plantation, and care for their mentally ill mother. 9780606328333 | Demco Media, November 30, 2004, cover price $15.60 | About this edition: With their father away most of the time advocating independence for the American colonies, the children of Patrick Henry try to raise themselves, manage the family plantation, and care for their mentally ill mother. 9781417634668 | Turtleback Books, August 1, 2004, cover price $17.20 | About this edition: With their father away most of the time advocating independence for the American colonies, the children of Patrick Henry try to raise themselves, manage the family plantation, and care for their mentally ill mother.